I thought that as we approached the giving season that I would randomly share some favorite gifts and at the top of my list would have to be tattly. From discovering them on instagram about three years ago they have quickly become a favorite. You may scoff at being in love with a company that makes temporary tattoos but this is something special. They employ designers of every kinds so there is something for everyone. They have color, they have black and white, they have metallics, they have tattoos that smell good! I mean really...who wouldn't love a peacock to put a little punch to their ensemble? And top to bottom they have great customer service, fun media and I haven't found a thing I don't like about them yet. Samantha asks for a subscription every year for Christmas and the happy mail makes the gift last longer! 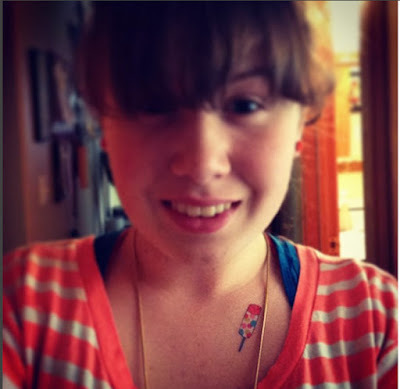 I gave out the scented flower tattoos at my last birthday party and they made the memory last. I find them to them to be the perfect accent to a card, tag or a little something to give someone when fun is absolutely needed. Sometimes they become the gift. Sometimes the accent. And they always add the perfect touch. A couple of months back near the beginning of the school year they included one of our stories on their blog and newsletter which had us both beyond the moon! We find that most of our friends that we have shared them with have enjoyed them as much as us...so thats why I am sharing this now. No, this isn't a sponsored post. It's just true love. 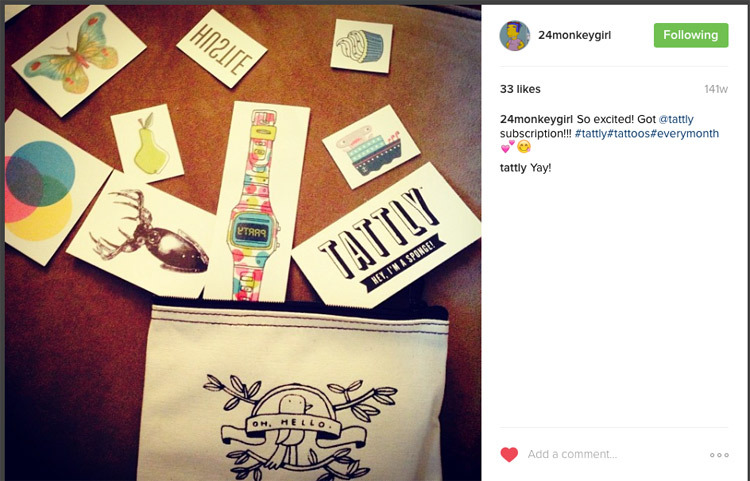 Let me know if you check them out and are as compelled as we are to play with tattly. With the holidays fast approaching (hello Thanksgiving!) I find myself thinking about family. About our little family of four and how thankful I am that we are all under the same roof for the time being. About extended family and who they are to us. And how you can know about someone in that extended family, and then something comes up that makes them feel more real to you somehow. More flesh and blood than before. Such was the case with my Great Grandad, who was known as Crazy Joe Baribeau. A couple of months ago my Dad forwarded an e-mail to me regarding this man that I had grown up knowing a bit about. There was a coin with his image on it. 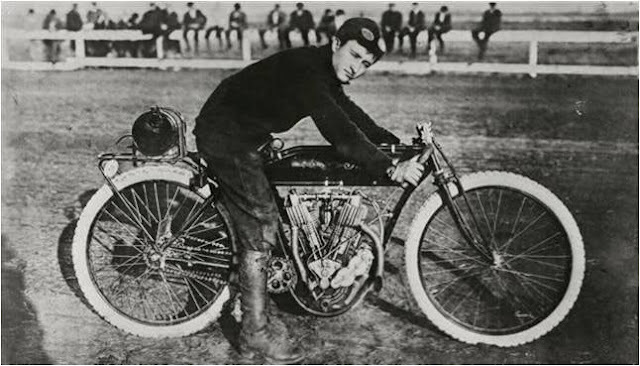 There was some knowledge of his involvement with motorcycles in Winnipeg. But something about this e-mail made me want to know more. The photos were fascinating. The story was big! 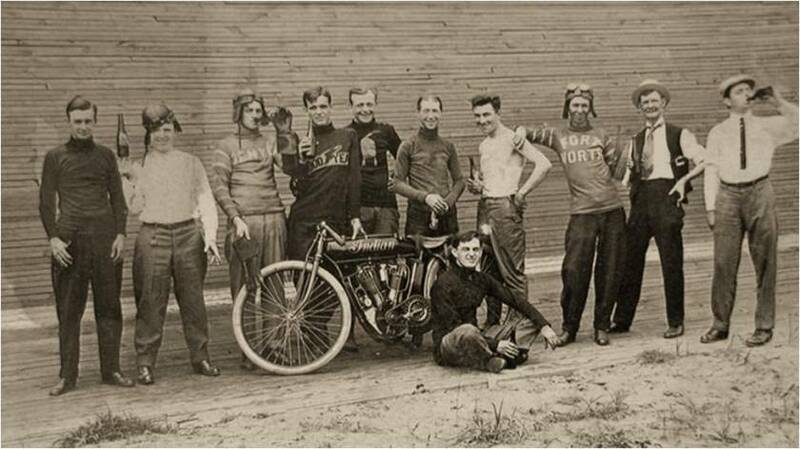 So I sent out an e-mail to the Antique Motorcycle Club of Manitoba, not expecting a reply. Surprisingly it led to a response from a second cousin! He then shared more links which I will share at the end of this post for anyone interested. And the photos! 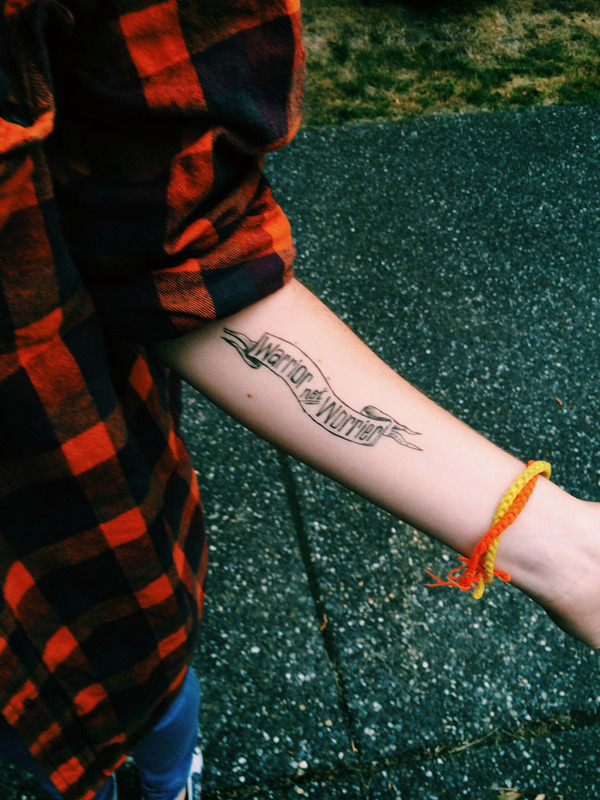 The stories. Suddenly the man that was an image on a coin was someone with drive, with a family, with a life that made an impact. Joseph Baribeau set a world record as the first rider to average 60 mph covering 100 miles in 1911. 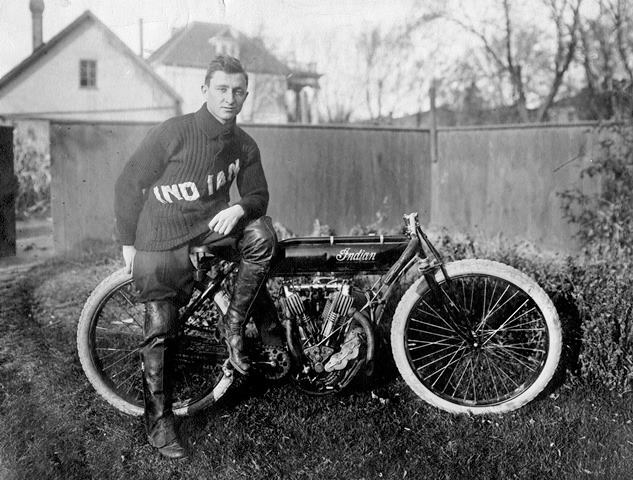 When I started reading the e-mail that was sent, then researching further I realized that this man, my Great Grandfather was something of a legend in Winnipeg Canada and had a lot to do with the sport of motorcycle racing at the time, and the Indian Motorcycle company in particular. What was even better about all this was the conversations over coffee with my Dad about his memories of this man, his achievements, and what he was like in his daily life. And this lead to even more discoveries about family. And a new connection with a second cousin that I never knew about. Who was so wonderful about sharing photos and stories. And made me feel my place in the world anchored even stronger in a funny way. I love old photos. Even better is the story behind them. And when they lead to discoveries about family, it's something I feel thankful for. And once again the "interwebs" as a friend calls them, have been a place of connection. Both within my family and outside of it. Have you ever made a discovery about someone in your family, or even in your circle? Ugh. We are heading into the time of year when I can easily fall into a pit of mild depression.And with all the unrest and uncertainty it's even worse this year. What that looks like for me is jammies at 4pm, disconnecting with friends, lots of Netflix, and some unhealthy eating. This year I am determined not to let it get the best of me so I have been compiling some ideas of how to beat it this year. Following is a very informal list of a few things that have been helping me bust the blues so far this year! 1. Self care. This can be anything from a bath, to a few hours of reading. To trying some crazy new beauty treatment. And if it's silly, that can be a great mood lifter, and a beautifier in one! 2. Get outside. 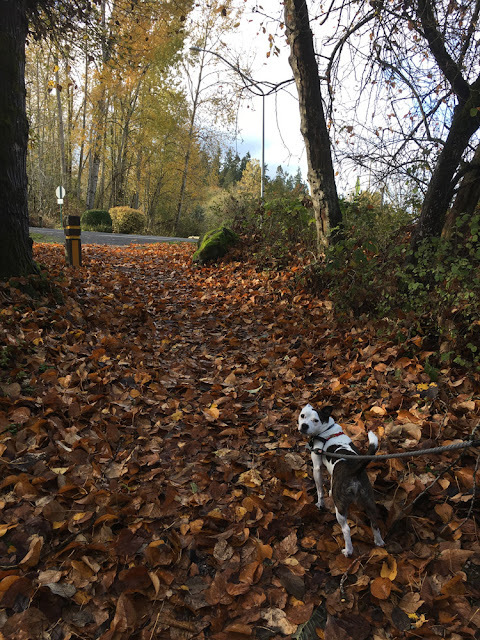 Many times I don't want to go outside, but after a few minutes on a walk with our pooch, I feel so much better. A few deep breaths of fresh air, some time out on the trails and my mood is adjusted for the better. 3. Wallow. Some days when I'm feeling blue I decide to just go with it. I find a sad movie sure to bring on tears, grab a blanket and my dog and just allow myself to be sad. After a few hours of it, I usually feel ready to get myself back together. An out of breath me between rounds on the rink! 4. Play. 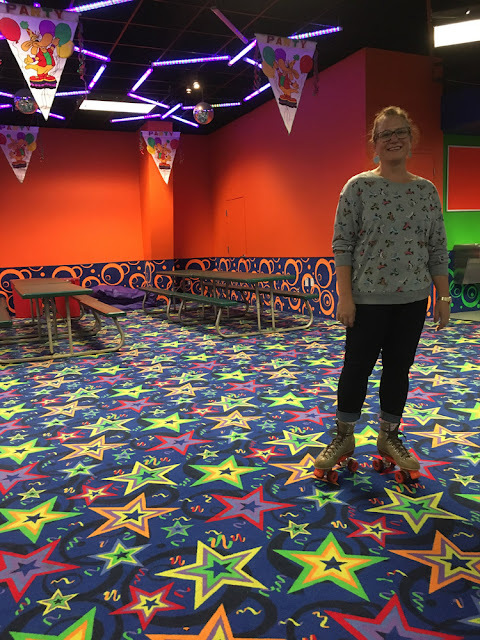 Recently we went roller skating. The idea of doing something from our youth compelled us to try it, and it was so worth it! We had so much fun, chasing one another around the rink, trying not to fall and remembering what it felt like to be teenagers! It was a really fun night! 5. Explore. Anytime I get out and about and explore a new to me area, new restaurant, or local museum I usually find myself feeling inspired and wanting to share with friends my new discoveries. Forcing myself to get out is usually the last thing I want, but the best thing for me! How do you take care of yourself? Any tips you'd like to share? I'm highly appreciative for any tools to fight the blues!